This is a list of my favorite national park hikes we have done. We have only visited 18 parks out of 59 so far, so I am sure these may change over time. Thanks to Adventures of a Day Hiker for the inspiration. For now here they are! I am sure the Bright Angel Trail will move higher up on my list when we finally get to stay at Phantom Ranch on the floor of the Grand Canyon. We only hiked part of the Bright Angel while we were at the Grand Canyon because we had limited time and a lot to see. Many hikers do a day hike to one of the rest houses or Indian Garden since this can be a tough one to climb back up from. We visited in October and it was still 80 when the sun was out. The summer can be deadly. Listen to all the warnings and remember you have to go back up! 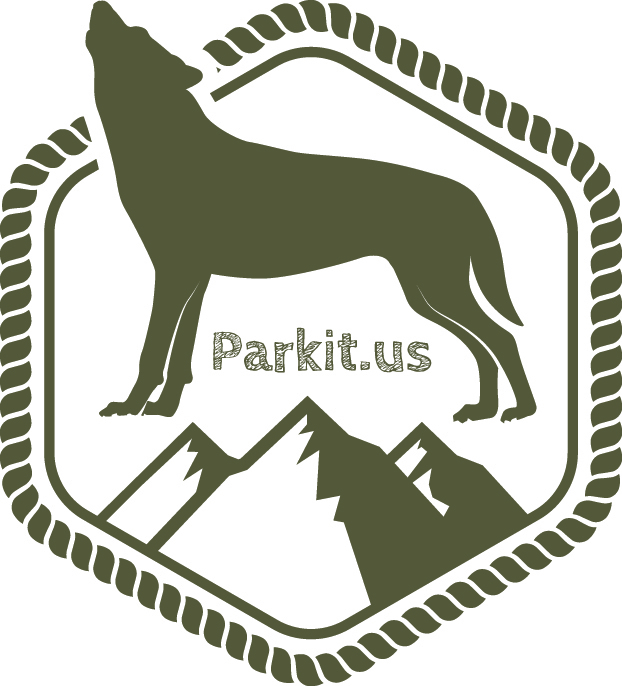 This website and book are great for hikers and visitors. We also loved the South Kaibab Trail, but only got to see a little of it. The Narrows is more of a wade through the North Fork of the Zion River than a hike with elevation, but it can be hard on your legs and balance. Most day hikers do the bottom up day hike. You can also camp and get a permit to do the top down to see more of the scenery and canyon. You can rent water shoes, hiking sticks and even waders from shops at the entrance to Zion national Park if the water is cold. The shoes really help with the rocky bottom and give support to your ankles so you do not turn them. The hike is beautiful and unique. There are usually lots of people having fun towards the beginning, but it gets quiet the further you go. The Narrows can be closed from March-May, so check before you plan to go. There are a lot of amazing hikes in Yellowstone National Park, but we have only done a few of them so far. I hope we get to do many more next summer since we hope to work seasonally in Yellowstone or Grand Teton National Park! People raved about the Picnic Area hike in Lamar Valley near Roosevelt so we gave it a try. We only saw two or three other hikers the whole time, so I would definitely bring bear spray. It is an easy hike once you make the first initial climb from the parking lot/picnic area. There are lots of sheer drop offs so watch the kids. The views are beautiful and sweeping. We also love Trout Lake, Mystic Falls, Observation Point and the whole Upper Geyser Basin to Biscuit Basin for easy hikes in Yellowstone. While short, Uncle Tom’s Trail packs a punch. It is steep going back up, and many people rush and forget water. Remember, you are already at a high elevation. The views of the Grand Canyon of the Yellowstone on this metal staircase trail are great. You are right next to the Lower Falls. Try to get the rainbow in your pictures. Take your time and enjoy! I really felt like I was walking around in a fairy tale when we hiked the Queens Garden Trail in Bryce Canyon. You feel so tiny next to the hoodoos when you actually start walking around next to them. The floor of Bryce Canyon is lush and peaceful. Wall Street is amazing to hike through. We only stayed a night in Bryce Canyon and I can not wait to go back. I lumped the Beehive and the Precipice Trails together even though the Beehive is shorter. I loved them both and both have amazing views. The Beehive is easier since it is about half the length of the Precipice. The Precipice is really more of a climbing/bouldering course than a hike. I wore biking/climbing gloves on the Precipice and they really helped with the iron rungs. Some parts were changeling for a short person like me, but several brave kids were doing the hikes. Not for those with a fear of heights! I love Yosemite National Park so much. The valley is amazing. We can not wait to go back and do lots of hiking and exploring. I am hoping we can work a summer/fall season there in 2019. The Mist Trail hike was one of the highlights when we visited in 2015. Craig was wearing sneakers and it was very wet, so we did not get to Nevada Falls. My hiking boots did a great job. I would love to hike to Half Dome while we are working there, but it does scare me a bit! Glacier National Park is a hikers dream. The Highline Trail is a great hike from the Logan Pass area. You must get there early to find a parking spot, or take a shuttle from where you are staying. There are sheer drop offs, but the hike itself is a pretty steady elevation change. We saw waterfalls, mountains, mountain goats and breathtaking views. One of my favorite national park hikes so far. I would rank Angels Landing #1 except it was SO CROWDED when we went in October 2015. The temperature was perfect-in the 80’s. You will probably want to get on the West Rim Trail to Angels Landing early so it is still in the shade. The switchbacks are killer. It is even a great hike if you stop at Scout Lookout. The views are incredible. If you are brave try the chain portion. It is short, but if it is crowded be prepared to wait. You may want to check on when the sun will be hitting the canyon for the best light and pictures. Grinnell Glacier is my number one national park hike we have done so far. It is amazing to see the effects of climate change and how the glaciers have shrunk. It was also so nice to hike with a ranger and group of national park fans.The whole hike has stunning views. I can not wait to do this hike again. We hope to work a summer season in Glacier. Maybe in 2020! Thanks for reading and happy hiking! Follow us on Facebook and Instagram for more pictures. Thank you Matthew from the The Adventures of a Day Hiker blog for nominating us for The Sunshine Blogger Award! It is an award exchanged among bloggers for those who are “are positive and creatively inspire others in the blogosphere”. What a nice idea! Check out Matthew’s blog-the pictures and hike ideas are great. What is (or was) your dream job? Craig- wants to do trail maintenance in the National Parks or run a mobile forensics lab. Patricia- always wanted to be an SFX artist, Disney Imagineer, Park Ranger or Photojournalist. So hard! I love every park we have been to so far, but I love Yellowstone, Glacier and Grand Teton (our first park) the most. Craig does not have a favorite. He likes Bryce, Yellowstone and Grand Teton equally. Patricia-any seafood. Craig-loves hot and sour soup. We wanted to share our love of the National Parks and our pictures. About 1 year 6 months now. Another hard one! Patricia-wolf or giraffe. Craig-cheetah. What place is at the top of your Bucket List? Patricia-The Lion the Witch and the Wardrobe, The Hobbit, The Lord of the Rings. Craig-Catcher in the Rye, 1984 and Siddhartha. What is your favorite state? California and Utah so far. We are still finding blogs to follow and read-new to this! Why did you want to start a blog? What is the most amazing place you have traveled to? Where do you most want to travel to? Favorite personality (actor, singer, writer, humanitarian, etc.)? 2016 was an amazing year! 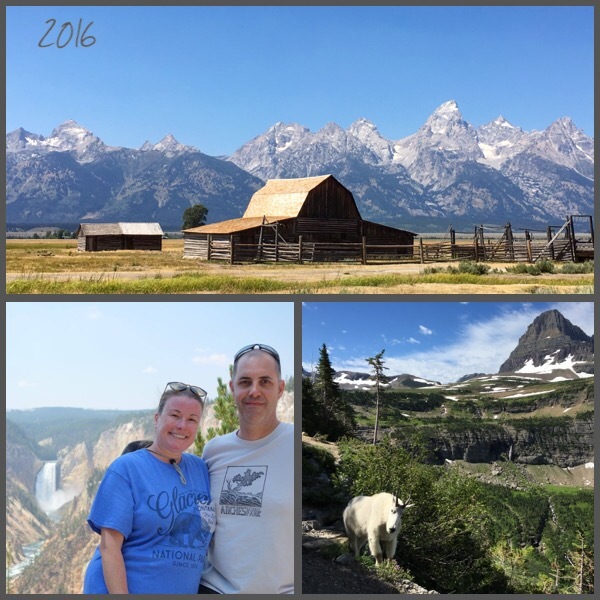 Craig and I got to visit 4 new national parks (Glacier, Everglades, Biscayne and Dry Tortugas) and revisit 2 of our favorites (Grand Teton and Yellowstone.) 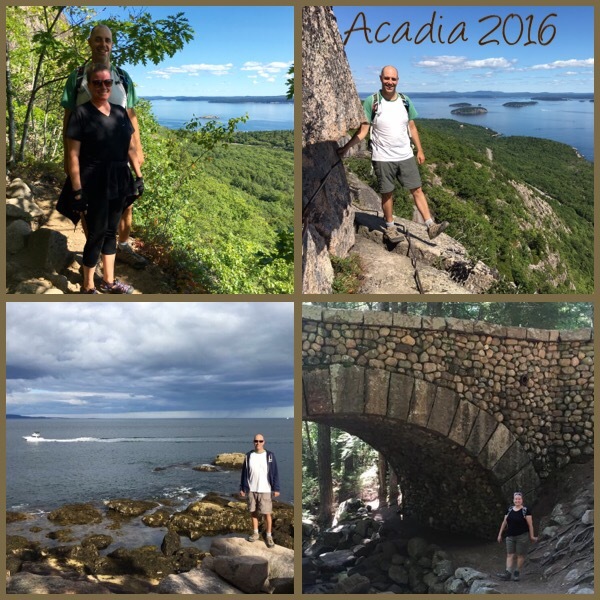 We also had a great camping weekend with friends in Acadia National Park and hiked a must do-the Precipice Trail. Our plans for full time RVing are a bit up in the air now with probable changes coming to the ACA. We will keep our eye on what happens and continue to save for an RV (hopefully an Airstream) and truck. We want to have a nice cushion to buy some land soon too. 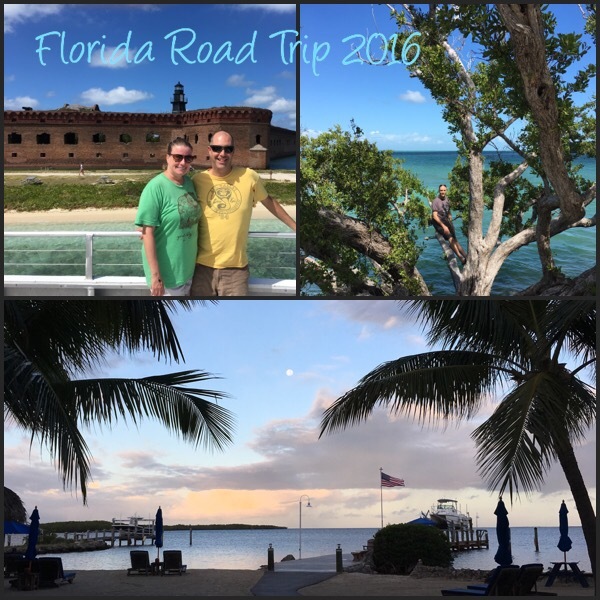 We had a wonderful time in Florida in October and are going back in January to see friends and family. We have no other plans right now for 2017. Our Alaska trip is being put off until we have more money saved. We will see what the new year brings! We know we want to see the Pacific Northwest soon. We also want to hike more of Yosemite. We hope you all have an awesome 2017! The past few weeks several very sad but avoidable accidents have happened at Yellowstone National Park. In May, a lady taking a picture of an Eagle stepped into the road and got hit by a car. On Tuesday, a pair of siblings from Oregon walked 225 yards off the boardwalks in Norris Geyser Basin and one slipped and fell into a hot spring. The water temperatures in Norris are the hottest in the park and range from 199 to 449 degrees. The day before, a 13 year old was being carried by his father as they walked off the designated trail in the Upper Geyser Basin. They slipped and got burned in a hot spring. Many signs are posted at the geyser basins warning visitors to stay on the boardwalks and marked paths. Information packets in different languages are also handed out when you enter the parks. Rangers and Yellowstone National Park Superintendent Dan Wenk have said that park visitation is already up 60% this year. It is the 100th Anniversary of the National Park Service and with cheaper gas, social media interest and unrest overseas, people want to travel to the parks. There have been a lot of “crazy tourist” news stories already coming from the parks. I am sure you read or heard about the two tourists putting a Bison calf in their car to save it because they thought it was cold. Or High On Life, a group of Canadian tourists with a clothing line that blatantly ignored several National Park rules and then posted the pictures of themselves doing it to Instagram and Facebook. They have warrants issued for their arrests, but made it back to Canada. Then you have the woman petting a Bison– a wild animal that weighs over a ton and can move at 40mph. Park warnings say to keep 100 yards from Bears and Wolves and 25 yards from Bison and Elk. This woman also made news by approaching an Elk too closely. In Glacier National Park a young man just died jumping into a pool of water in Running Eagle Falls. A climber died in Zion in March and last year there was an awful accident in Keyhole Canyon. The last time Craig and I visited Yellowstone in 2014, a young girl fell at The Grand Canyon of the Yellowstone the day we were there. Last year, a park employee made news when a bear attacked him while he was out alone running or walking without bear spray. On Monday a man fell while taking pictures in Acadia National Park. Throughout history accidents have happened in our wild places. Some are avoidable and some are due to weather and nature. I for one am glad there are still so many wild places left in this country and I hope they stay that way. Some great books to read before your trips are Death in Yellowstone, Off the Wall: Death in Yosemite and Over the Edge: Death in Grand Canyon. There are also a few other parks with books like these. They will give you a new found respect for the parks and the people that have to try and rescue visitors that make often fatal mistakes. If you are visiting any National Parks during the 100th anniversary of the National Park Service, do some research before you go, read the information and warnings at the parks, respect the animals in their home and respect the fragile ecosystems. If you plan to hike, carry water and bear spray or join a Ranger led hike. Too many are carving and spray painting rocks, leaving trash everywhere and not following warnings. Please do not ruin it for those of us that love and respect these places. Go and have an amazing time and be an ambassador for our parks! If you are looking to learn more about the National Parks when you visit, you may want to attend one of the Association or Institute classes. I was scrolling through some of the new classes and hikes today and they look amazing! Here are links to The Yellowstone Association, The Yosemite Conservancy, The Glacier Institute, The Zion Association, and The Grand Canyon Association. Check out their classes and talks and let me know about any other park classes you see. Craig and I are going to be keeping an eye on their job pages as well. I would love to work in one of the park bookstores or as a guide.